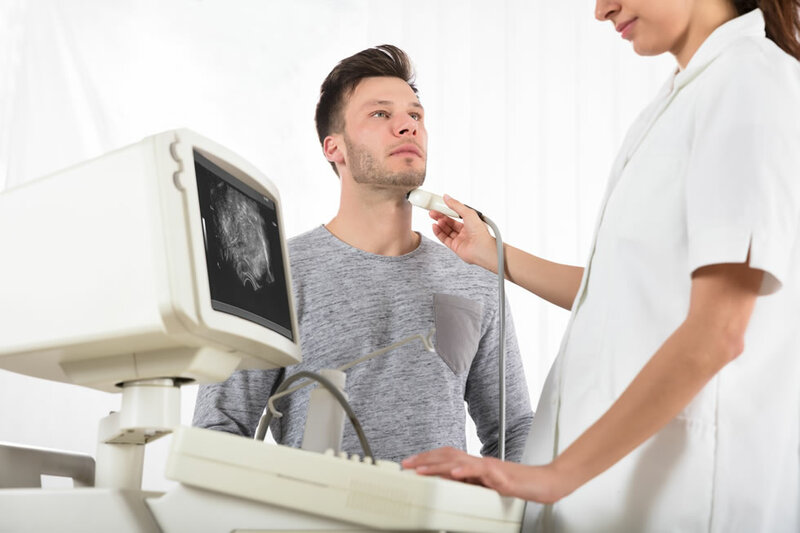 A five-minute scan of blood vessels in the neck during mid-life could predict cognitive decline ten years before symptoms appear, claims new UCL research funded by the British Heart Foundation (BHF). The findings were presented at the AHA Scientific Sessions conference in Chicago. If confirmed in larger studies, the scan could become part of routine screening programme for people at risk of developing dementia. An international team of researchers, led by Professor John Deanfield (UCL Institute of Cardiovascular Science), studied a group of 3,191 middle-aged volunteers who were given an ultrasound measuring the intensity of the pulse reaching their brain. Over the next 15 years, researchers monitored the participant's memory and problem-solving ability. Participants whose blood reached their brain with the highest intensity (top 25 per cent) at the beginning of the study were at around a 50% higher risk of developing cognitive decline over the next decade compared to the rest of the participants. This difference was present even after adjustments for possible confounding factors, such as age, BMI, blood pressure, diabetes, and whether participants had other heart conditions. Cognitive decline is a noticeable and measureable decline in cognitive abilities including memory, language, thinking and judgement skills. It is often one of the first signs of dementia, but not everyone who shows signs of cognitive decline will go on to develop dementia. Next, the researchers plan to use MRI scans to check if these individuals also display structural and functional changes within the brain which may explain the changes in memory and thinking. They also plan to test whether the scan improves the existing predictive 'risk scores' for dementia. These findings demonstrate the first direct link between the heart's pulse transmitted towards the brain and future impairments in cognitive function. It's a potentially treatable cause of cognitive decline in middle-aged adults which can be spotted well in advance - before any noticeable changes in brain structure or function. The best way to protect yourself is to lead a lifestyle that keeps your blood vessels healthy. The same risk factors which are linked to heart disease - such as high blood pressure and lack of exercise - are strongly linked to dementia. It really is a case of healthy body and healthy mind.